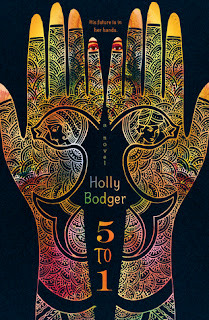 Review: 5 to 1 is a dystopian set in India, and what made it that much more unique for its genre is that Sudasa's point of view was written in verse, while Kiran's point of view was written in prose. I love poetry but I don't really read much of it unless if I have to and Sudasa was a huge surprise because I found myself waiting to get to her chapters just to read her point of view in verse. The unique style of writing worked very well with the story. Going in I was expecting a lot of romance but there wasn't much of it at all, instead it was a story of two individuals living in a society that was forced upon them and their fight for wanting something better. I'm huge on romance but the lack of it in 5 to 1 did not take my enjoyment away from it. 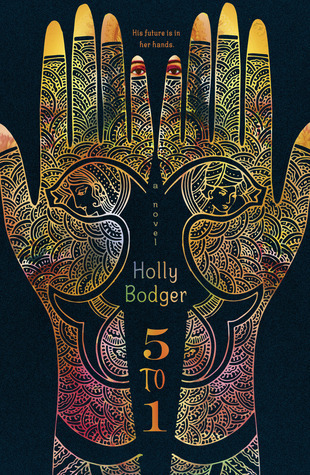 Bodger did a wonderful job capturing the Indian culture and traditions, I only wish the book was a little bit longer because the world building needed more work. Overall 5 to 1 was a captivating read. It was short and I would love to see this as a series because the way it ended you were left wanting more.